NDE - a few decades ago - the more likely label would have been "crazy". Lesley Lupo is in the right place now to help validate the incredible knowing that comes from the Near Death Experience. Every Breath is Precious. And every life is a work in progress. Lesley Joan Lupo was born in Chicago and raised in a boisterous, tight-knit family. She attended college in Albuquerque, NM and graduated with a B.A. in Psychology and a B.F.A. in Studio Art. At the same time that she studied science, art, and psychology, Lesley reawakened her intuitive awareness and crossed paths with many inspirational teachers, including Native American Medicine people, a West African Shaman, and a Wiccan High Priestess. Lesley has lived and traveled all over the world, including 2 1/2 years in Rabat, Morocco and several stays at ashrams in India. For nearly ten years Lesley was the Vice-President of Operations at Tanque Verde Guest Ranch. After a stampede of horses nearly killed Lesley, she experienced a profound near-death experience (NDE) resulting in her inspiring and poignant new book, Remember, Every Breath is Precious (Publication date: November 2018). Her book offers a unique glance into the afterlife and invites the reader to venture beyond everyday life into understanding the undying reality of their Soul. Her book has already been endorsed by Dr. Pim van Lommel, Dean Radin, Ph.D., Dr. Raymond Moody, Ken Ring, Ph.D., Ervin Laszlo, Ph.D., Bruce Greyson, M.D., Suzanne Giesemann and Dr. Gary Schwartz (who authored the foreword). For the last 22 years, she has been a highly-sought after Intuitive Therapist at the famed Canyon Ranch Resort in Arizona and, for three of those years, as the Spiritual Programs Coordinator. 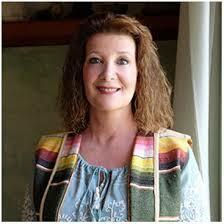 Lesley is also a certified NLP (neuro-linguistic programming) therapist and a Reiki Master. In these roles, she counsels and guides her clients on their own inner journeys. Her client base includes Hollywood celebrities, politicians, royalty, and business leaders from all over the world. Through her private company Light the Path, she works one-on-one with clients (in-person, skype and phone) to support their spiritual healing and transformation. Lesley also teaches workshops on improving relationships. Her popular workshop: Light Your Path — Cultivate a Life of Self-Worth is soon to include a workbook and companion e-course. She now serves on the Steering committee of the Tucson IANDS and is the Vice-Chairman of the Spirituality Leadership Council for the nonprofit Eternea. Lesley also guest lectures in the Psychology of Religion and Spirituality class at the University of Arizona. Lesley enjoys creating mosaics and jewelry, meditation, bee keeping, and organic gardening. She happily practices “detachment” (win or lose) by watching her favorite Chicago sports teams. She resides in Tucson AZ.